These gloves are shaped and sized for a man's hands. Made with strong synthetic leather on the palm and cool, breathable spandex on the back of the hand. The palm is padded and stress points are doubly reinforced. A velcro wrist closure gives the gloves a snug fit. Sizes - Medium, Large & Extra Large. 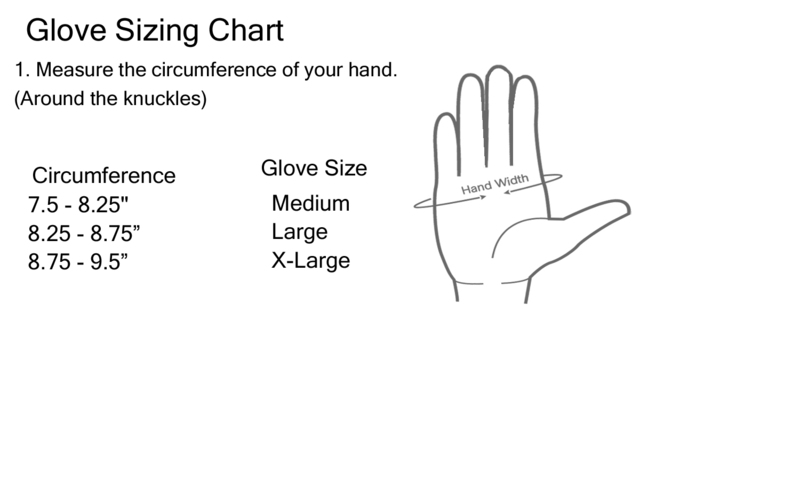 For help with sizing, see the 'Size Chart'.